Well just one actually...so brush not brushes. Hmm yeah...ok. This purchase came about when I was randomly but very strategically, browsing the beauty section of The Landmark. The Landmark is pretty well known to stock some cheap random brand tools, more specifically brushes. And I always love going through the aisles to look at random beauty items. So when I chanced upon this brush, I had to get it because. My ELF flat top brush has been monstrously resurrected after I attempted to prolong its life using pliers on the ferrule. It's synthetic hence perfect for creams and liquids. Truth be told, I wasn't sold on the color initially. I mean, metallic red? Welcome to tacky-ville. But as I held it firm upon my mortal hands it seemed more eye catching than black or white (my usual brush color preference). I've had it for close to a year now I believe, and it hasn't shed or bled (contrary to the striking red brush hair) at all. There were admittedly 1 or 2 instances I had to pluck a stray out of place but that was it. I also put the synthetic aspect of the brush under neutral as some people like natural hair. I think the same too when it comes to picking up powder - natural is the best BUT taking care of them is a hassle compared to synthetic ones - whose hairs keep their shape longer even with just minimal care. 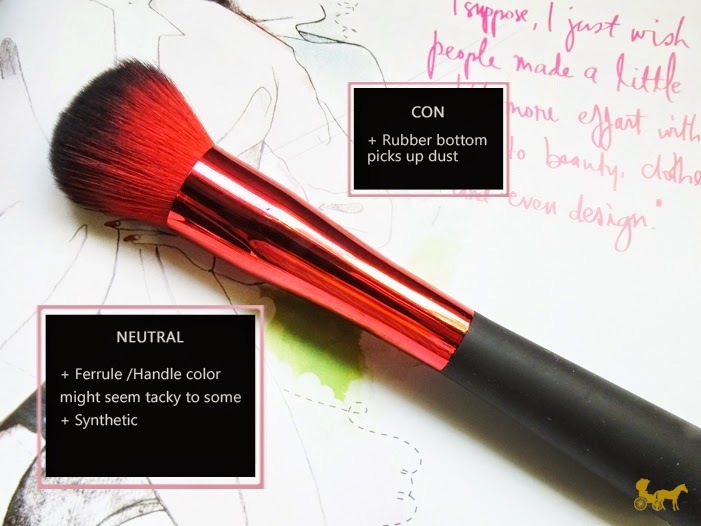 Bottomline, I recommend this brush or any brush for that matter you can find at The Landmark. I haven't tried all of them, but I'm sure they're ok for the price. 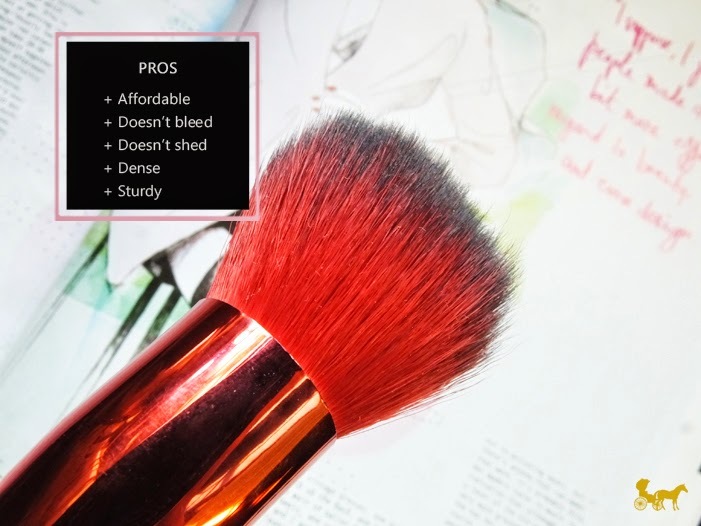 I've tried some testers of the kabuki brushes there and they're SUPER soft, as soft as the ELF kabuki brush (for reference). Have you tried some brushes there? PS. Hooray for awkward intros. NOT. Seriously sometimes I just don't know how to open my posts, doyafeelme? PPS. So I've heard The Landmark tried to sell some replica Real Technique brushes. I read somewhere that someone liked it and it wasn't bad. For the price, I bet it wasn't. :) I wouldn't mind buying those too! Haha #realTalk Seriously though, even if it said dingdong brushes, I'd still get them. Have had my fair share of buying Landmark brushes. It's a hit or miss, really. Most of it are misses :( But for only 100+, you can't really complain. I'm glad you got a good brush! Will take note of this tacky-looking-brush-handle when I chance upon Landmark, hahaha! Hhahahha! It is slightly tacky! Fire-engine metallic red? Right??? But I've learned to love it, even if it's just the hairs mostly. Thanks for dropping by! 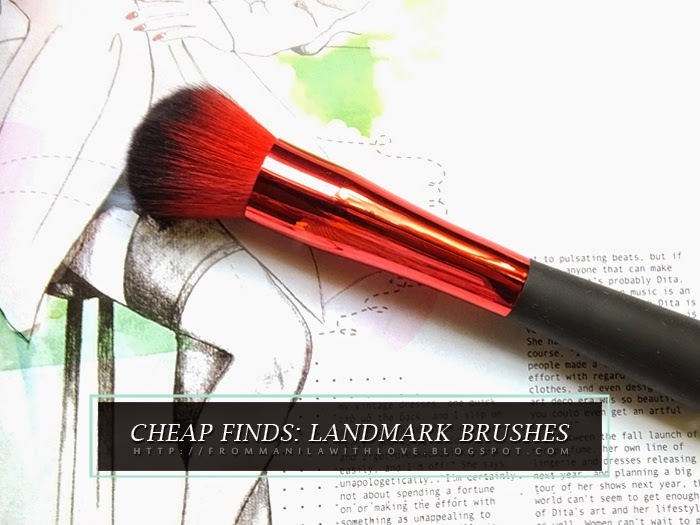 nice post, makeup brushes from landmark are really affordable but has a great quality! Indeed they do :) At least most of them are. You have a beautiful blog! These look quite nice! The red color looks really fun too! 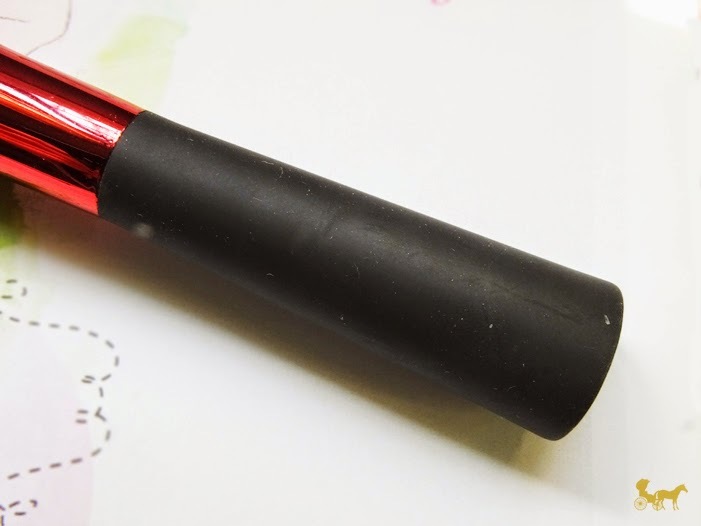 This is a pretty red brush! I hope it comes in gold or pink! This is the only reason why I drop by at LandMark, every time I get a chance to fly to Manila. LOL... 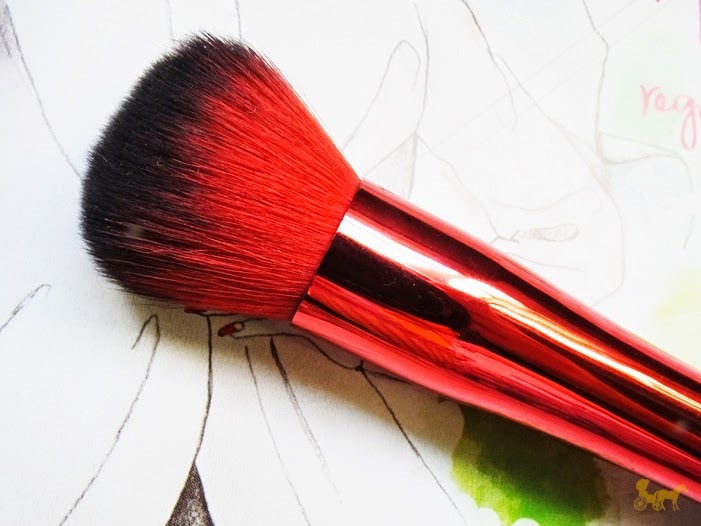 I just adore their makeup brushes!